What is the attractiveness of the digital learning market for vocational and professional training? 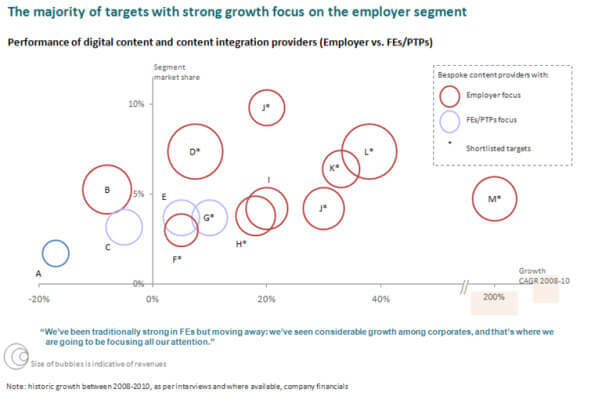 Where is growth concentrated (for product segments and customer segments)? Which digital learning strategy is the best fit with the current position of the vocational educational provider? What is the feasibility of acquisition led growth ? “AMR’s work was very strong. It delivered extremely well for us on actionable recommendations, which we moved on, and also on enabling us to tell a coherent story to our stakeholders.